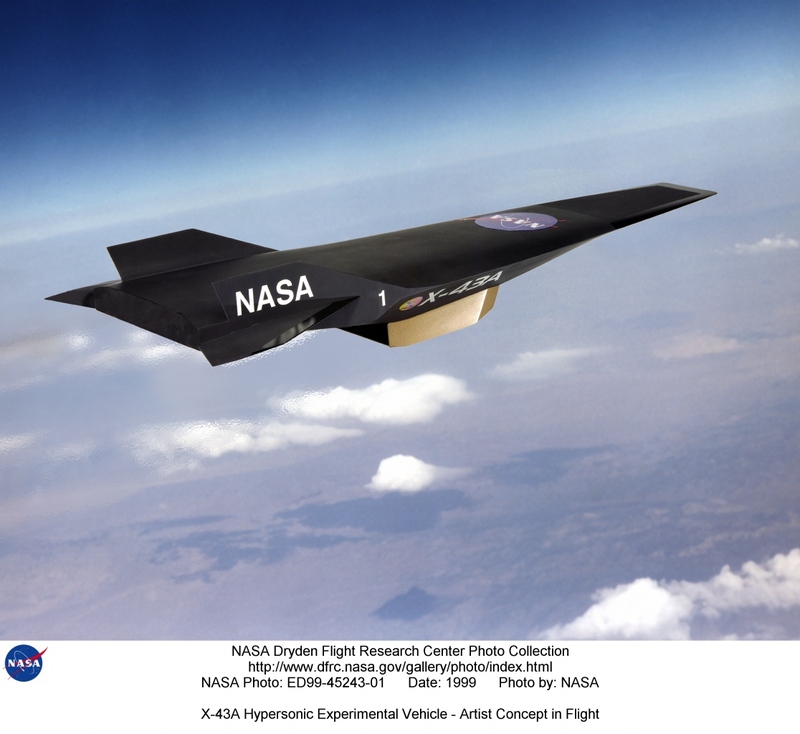 Explanation: Using oxygen from the air itself, a NASA experimental jet propelled itself past Mach 7 in the atmosphere above the Pacific Ocean this weekend. The small automated X-43A Hyper-X craft was dropped from a huge converted B-52 bomber and then accelerated by a standard Pegasus rocket. 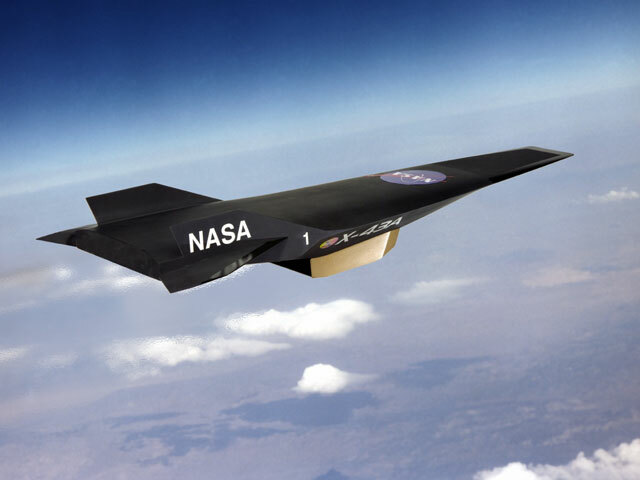 At Mach 7, seven times the speed of sound, the X-43A separated and the novel scramjet kicked in. Atmospheric oxygen was then scooped up, combined with onboard hydrogen, and combusted in flight to propel the X-43A to record air speeds during maneuvers over the next 10 seconds. Engines of ramjet design have been suggested as a satellite launch method without heavy fuel tanks and even romanticized for interstellar space travel. The previously acknowledged air-speed record for jet-powered flight was Mach 3.3 for the decommissioned SR-71. Re-entering space rockets can start as high as Mach 36 before the atmosphere decelerates them. The X-43A, depicted in the artist's illustration above, might well propel itself past Mach 10 in future tests.